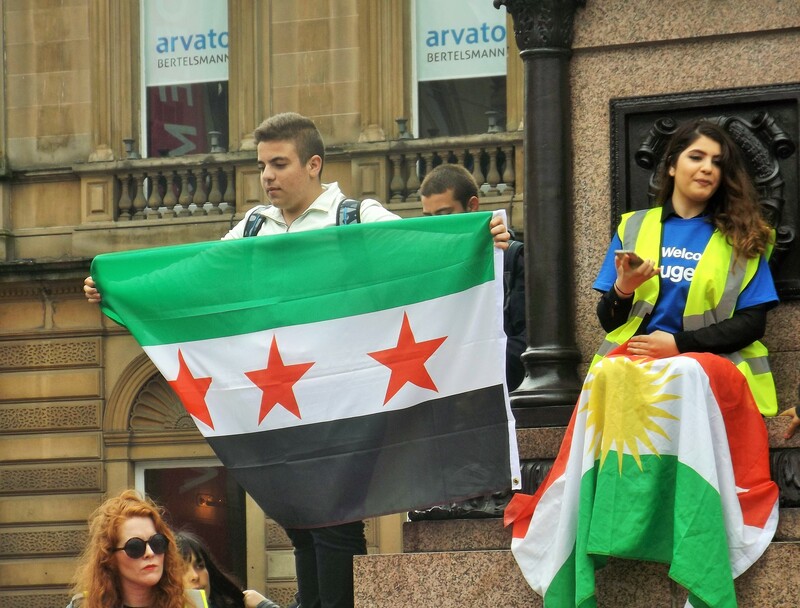 Several thousand people, dugs and weans packed into George Square today for the Glasgow Sees Syria rally. 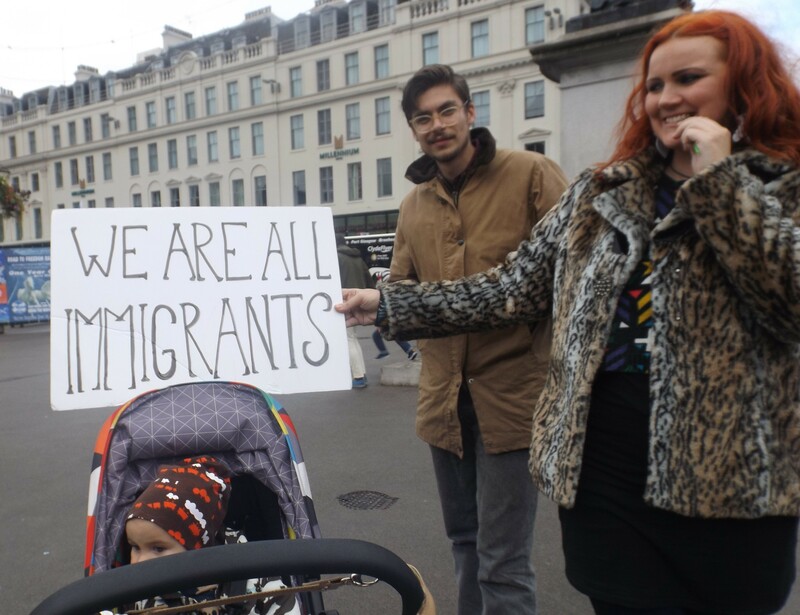 Organised independently through social media over the past few weeks, the demonstration called on the UK Government to do more to help those fleeing war and destitution elsewhere, It was also an important show of solidarity with refugees – particularly in the face of alarming anti-refugee and anti-immigration rhetoric which – while far from a recent development – has become alarmingly prevalent over the course of the recent crisis. 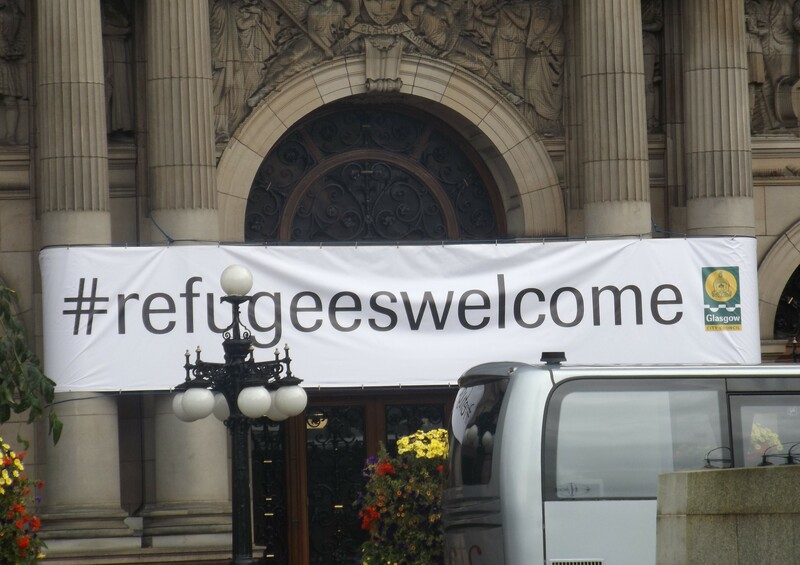 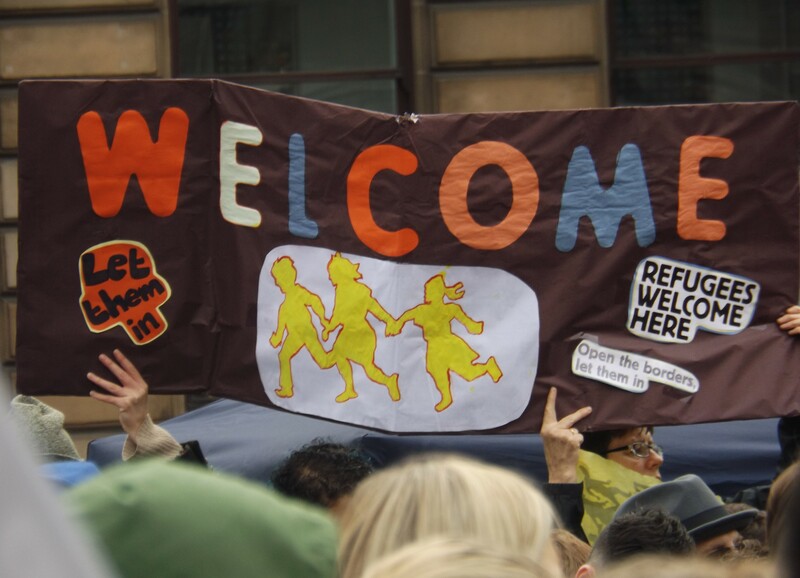 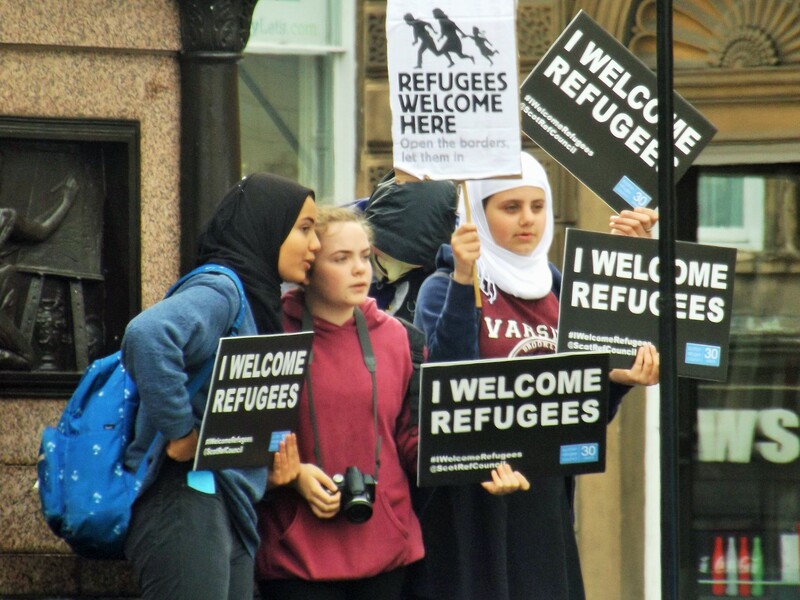 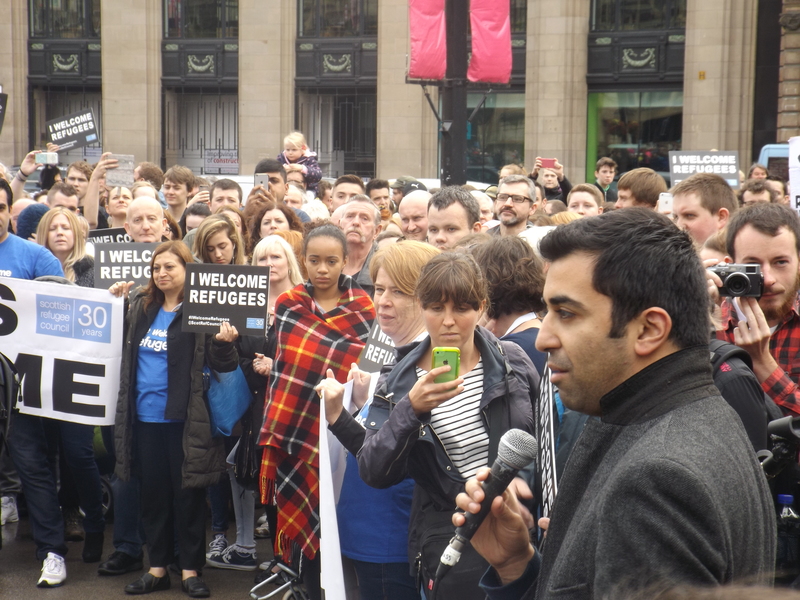 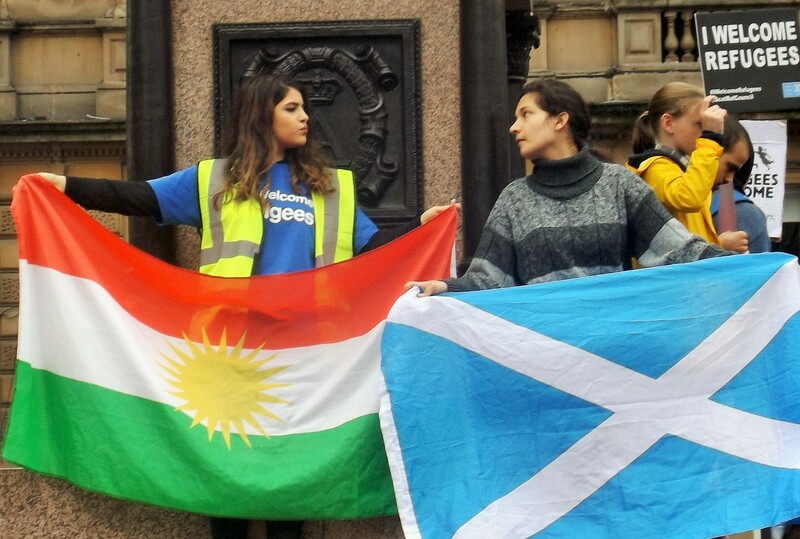 Credit where credit’s due to Glasgow City Council who – on a rare occasion – seem to have pulled out all the stops to help the organisers of today’s rally, even adorning the City Chambers with a council-branded ‘Refugees Welcome’ banner. 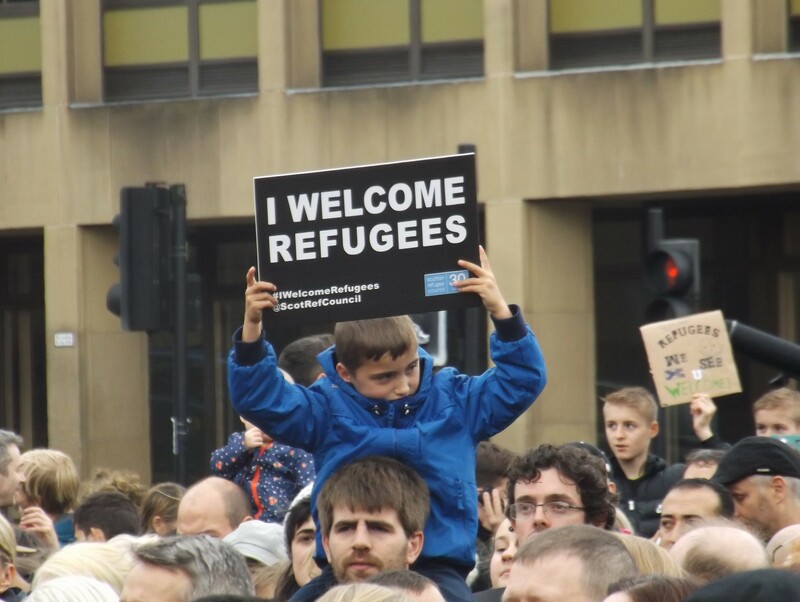 It’s not often that we can say that when it comes to demonstrations in the city centre. 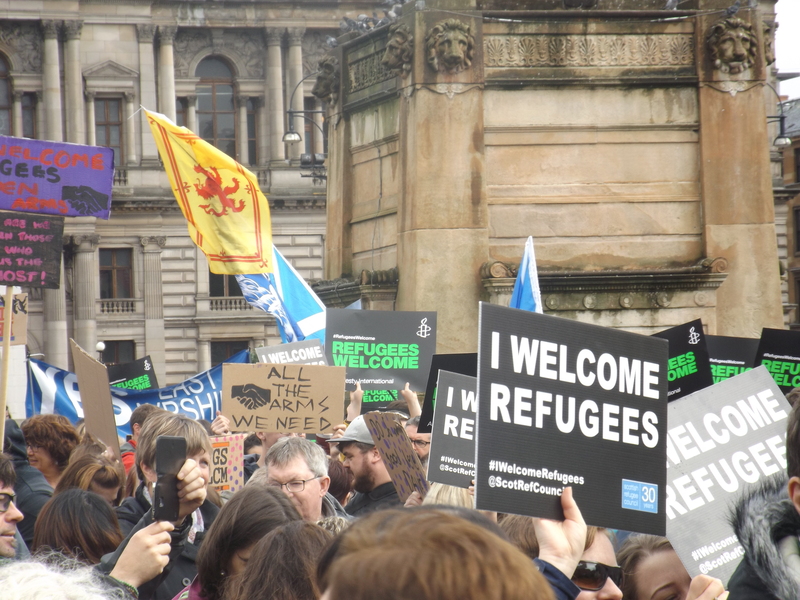 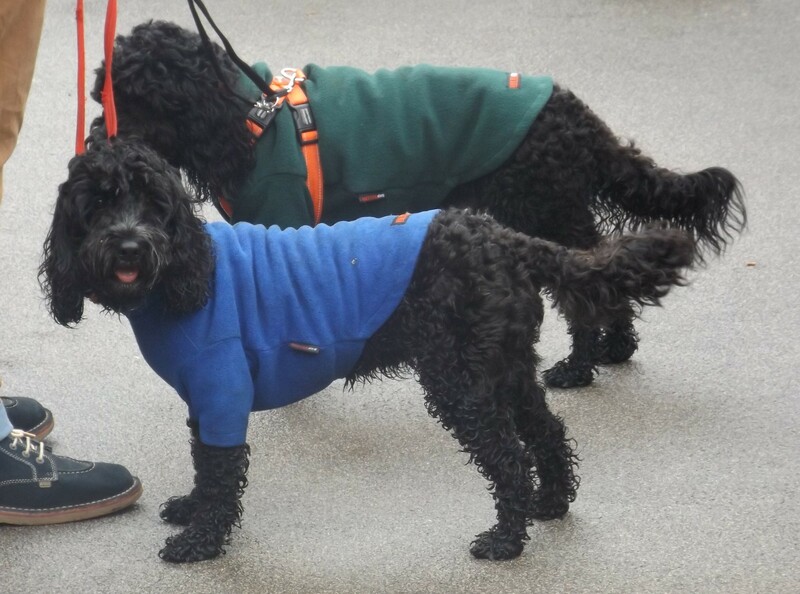 Hundreds also rallied in Edinburgh today, while a smaller protest was held in Shetland. 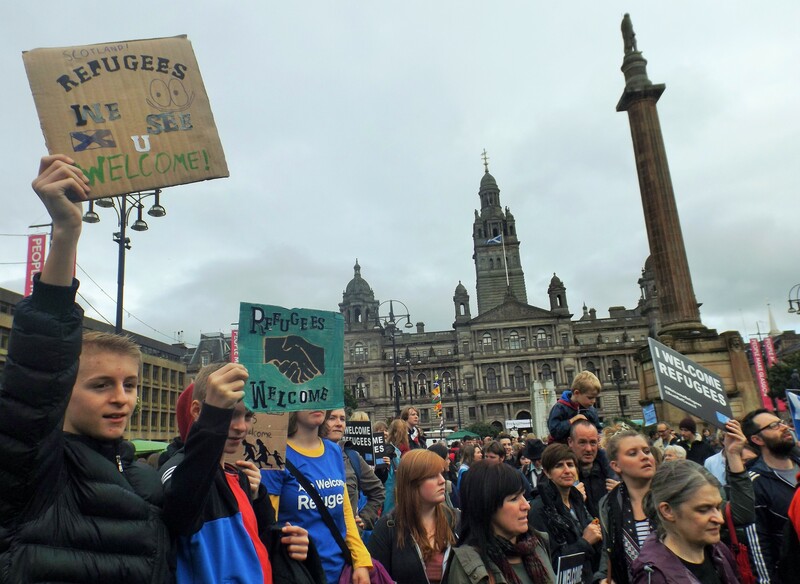 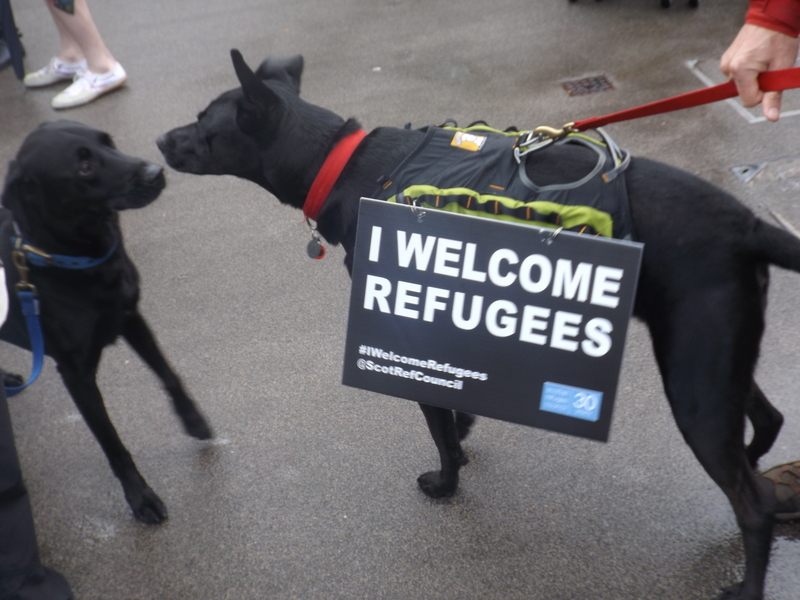 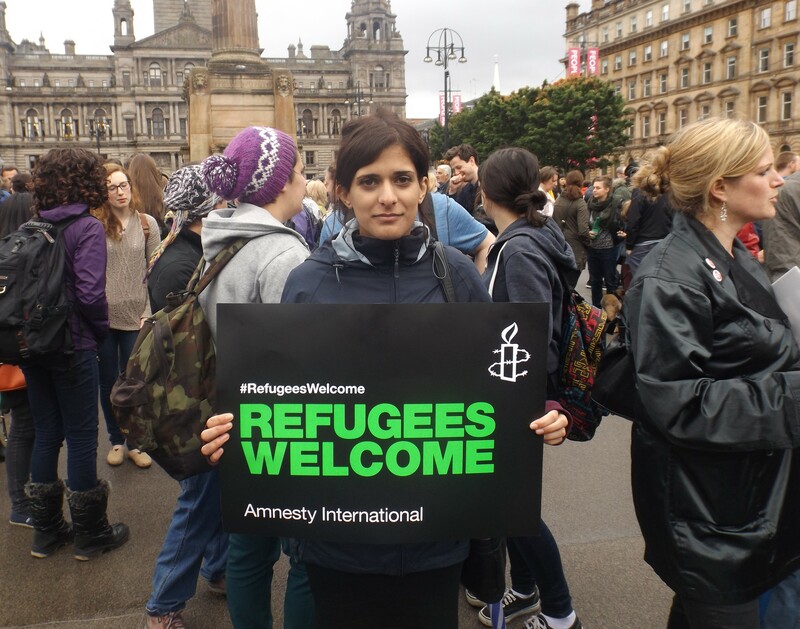 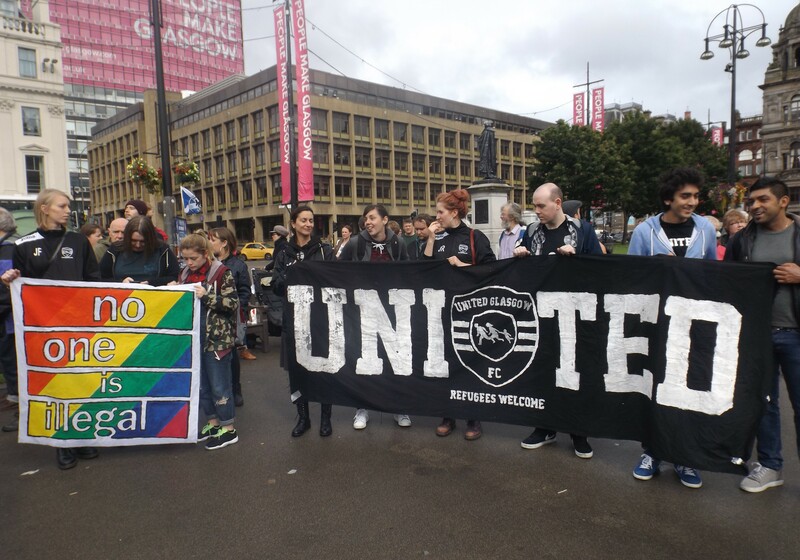 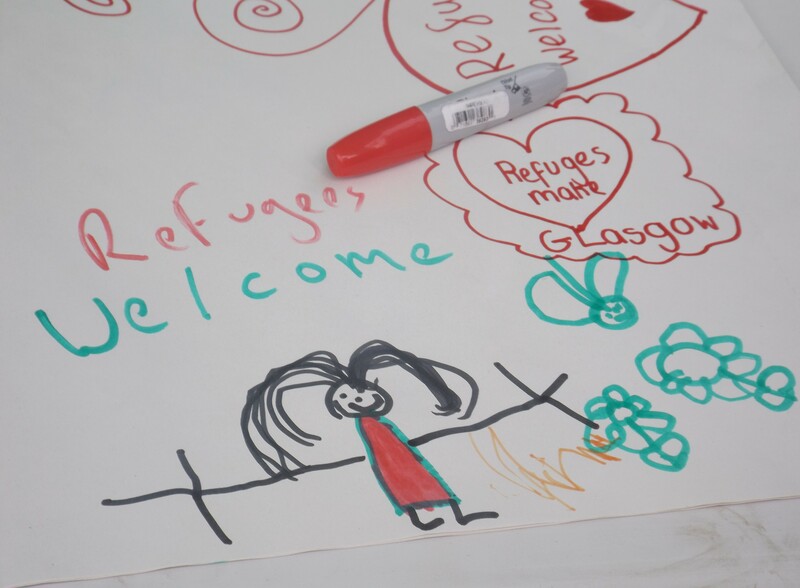 For more on how we can offer our active support and solidarity to refugees, see our full run down from a few days ago. 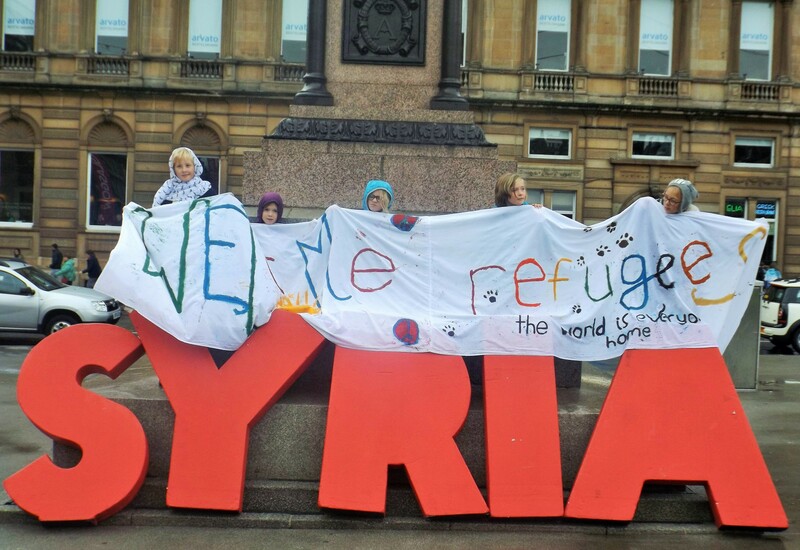 And a wee mention for St Roch’s Juniors FC who had a Refugees Welcome banner at their home game v Carluke Rovers. 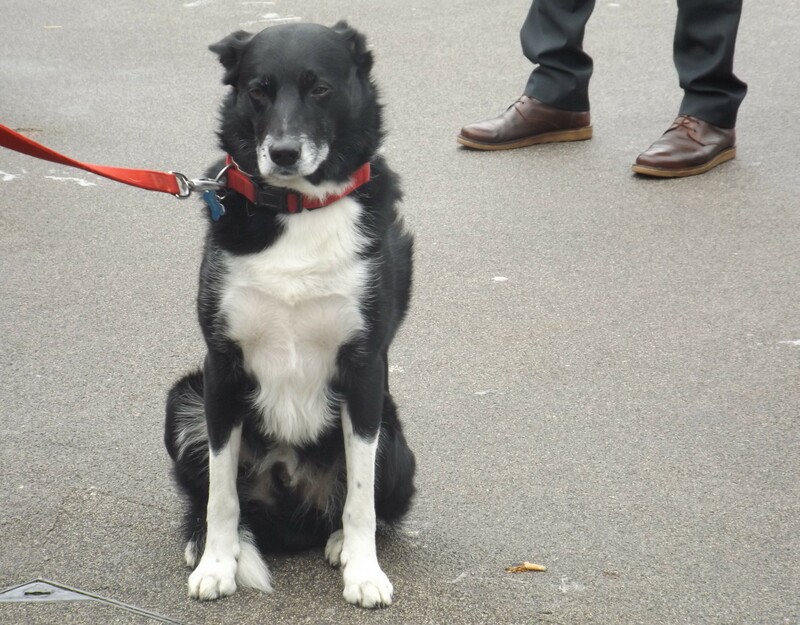 See St Roch’s on Twitter. 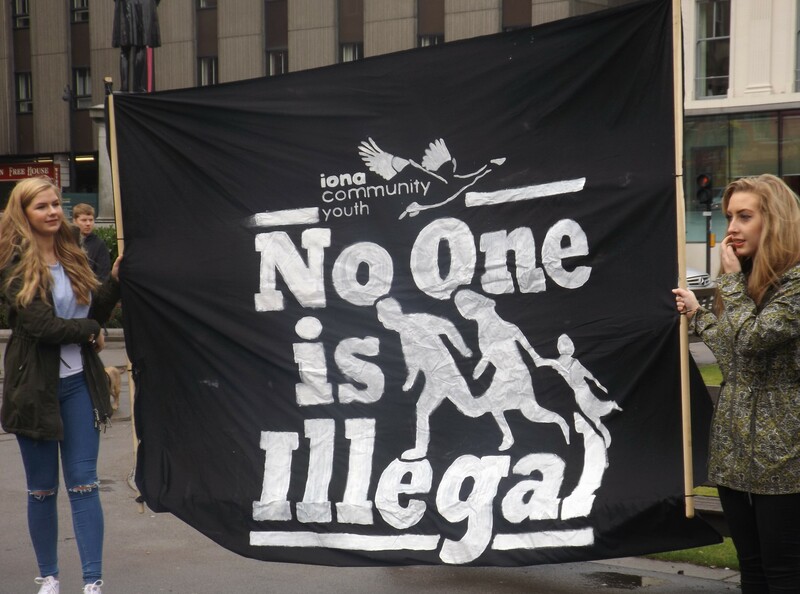 The young people who made the “No-one is Illegal” banner are properly stoaked it got featured – thanks.